WoowBot is a Zero Configuration, Zero Training, Stand Alone Chat Bot or Shopping Bot. You can make this plug n’ play ChatBot to work with any language. 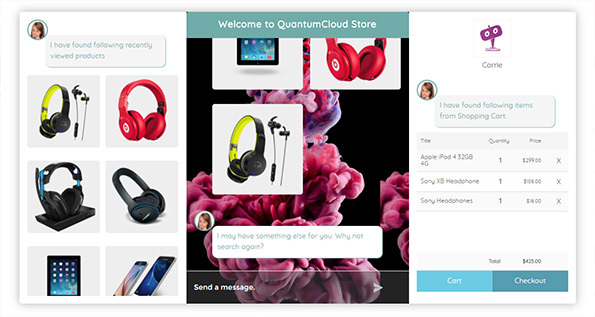 Shoppers can converse with the bot, view, select and Add products to cart directly from the chat interface. 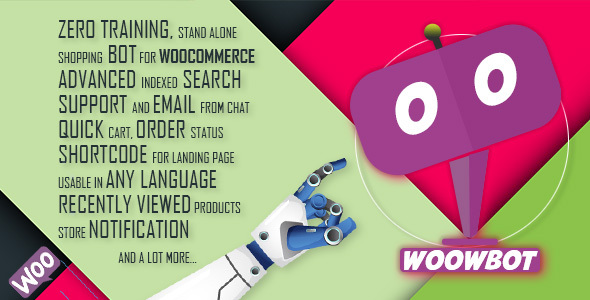 WoowBot also provides FAQ Support, eMail user query, Quick Cart, Order Status, Recently Viewed Products, ShortCode for landing page, Mobile Apps and more features! WoowBot is the Next Generation Conversational Commerce for WooCommerce Platform. Conversational commerce is the future of eCommerce. 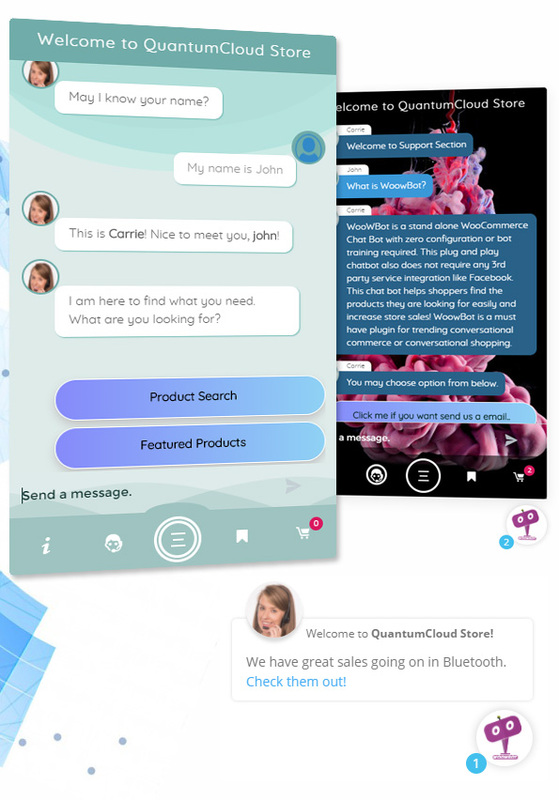 Enter WoowBot: a new way of customer interaction that allows brands to connect with their customers on a personal level while creating a more natural interaction that mimics the physical world. 24/7/365 WoowBot can provide live chat service for your shoppers and provide product search services, order status and support. Increase customer satisfaction, reduce costs to scale and improve the ability to engage customers. You can even use WoowBot shortcode to create single page shopping experience! A personalized welcome goes a long way to light up one’s day. 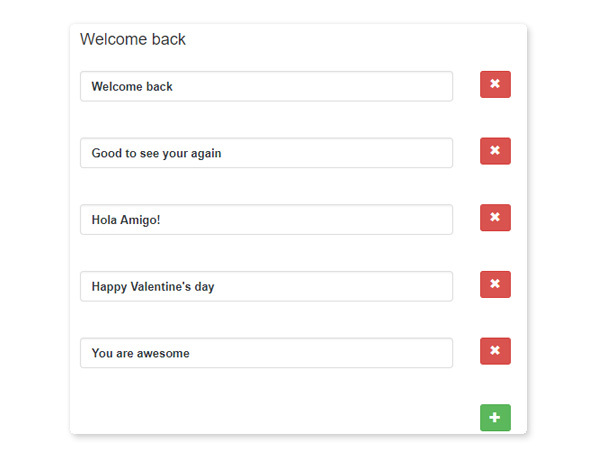 WoowBot greets each person with a warm welcome and remembers previous chats. It helps the shopper find the perfect product s/he has been looking for. What is worse than not having a live chat on your eCommerce website? It is getting a “No one is Available to Chat” message. WoowBot is always there to find products and to help. Sure, there are other chat bot alternatives like Facebook messenger bots. But they require complex training and integration. WoowBot is truly plug n’ play. If your store is in English language – you can simply Install WoowBot and you are ready to go. For other languages – you can change all the bot responses. But that’s it! In addition, WoowBot comes with tons of extra features for power users to fine-tune the bot’s personality! WoowBot provides advanced product search through special database indexing which allows searching through product category, tags and additional WooCommerce fields. This allows for faster and more accurate search results. 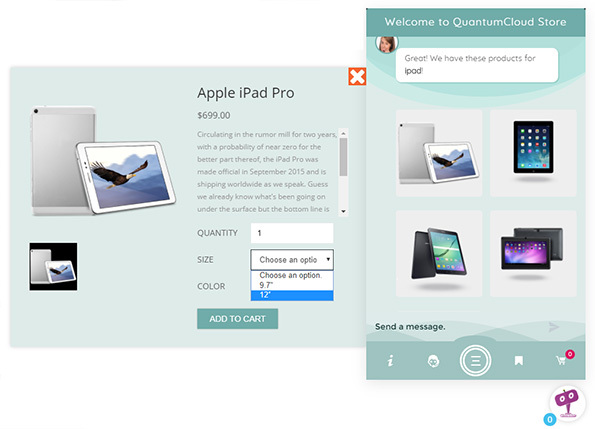 Products can be added to cart directly from the chat interface. WoowBot provides support directly from the Chat window. You can add commonly asked questions (FAQ) and answers in the backend that WoowBot will display when user goes to support area. If the shopper does not find answers to his question in the FAQ, he can opt to send an email to site admin by chatting! Load WoowBot on a page itself with shortcode. 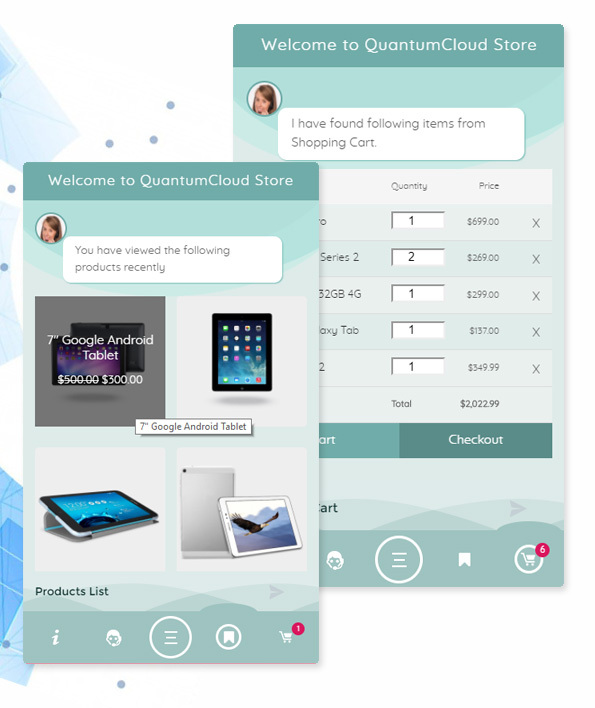 With this feature you can create a single landing page for shoppers to add your products to cart and check out! 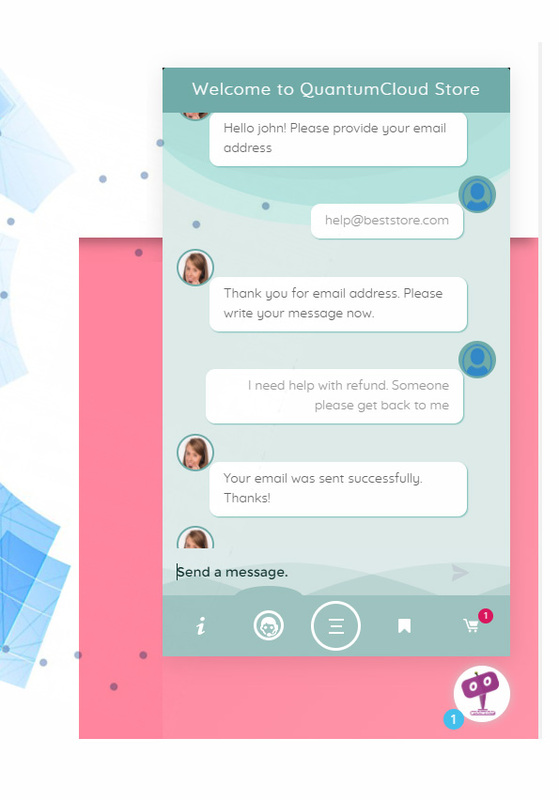 Choose from one of the 4 modern chat window templates. Upload your own background image to show behind the chat window. Add multiple variations of ChatBot responses for each node. They will be used randomly and give an appearance of more human like responses. WoowBot shows floating quick Cart from any page on your website with the number of products added to cart even when the chat window is not open. Also, shows recently viewed products for easy reference for the shopper.